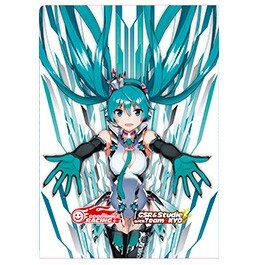 Racing Miku 2013 Ver. Design clear folder that includes a pit panel for use with any Nendoroid Car! Fun to assemble, and fun for play. Be sure to use it with your Nendoroids and Nendoroid Cars!